The NFL released the rosters for the 2019 Pro Bowl in Orlando, with the Los Angeles Chargers leading the field with seven selections. Although the Chargers started the season 0-3, Philip Rivers and his supporting cast have become one of the league's biggest threats. Keenan Allen, Melvin Gordon and Melvin Ingram are just a few players who will represent the franchise in Orlando. Second-year Kansas City Chiefs quarterback Patrick Mahomes, who has taken the league by storm this season, has been named the starting QB for the AFC. Mahomes will be joined by team-mates Tyreek Hill and Travis Kelce, who have been two of his favourite targets so far in 2018. New England Patriots quarterback Tom Brady was also named to the roster. It was his 14th career Pro Bowl selection, which ties him with Peyton Manning, Tony Gonzalez, Bruce Matthews and Merlin Olsen for the most all-time. The NFC is not short on talent, either. 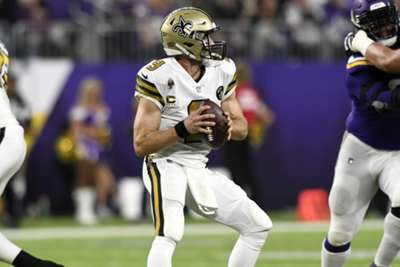 New Orleans Saints star Drew Brees is a sure-fire Hall of Famer, and he is having what might be his best season ever as a 39-year-old. Other notable NFC selections include Los Angeles Rams running back Todd Gurley, Julio Jones of the Atlanta Falcons and the Rams' Aaron Donald. Long snapper : To be named by coach.